As drivers navigate the sharp bend, they immediately encounter a pedestrian crossing, with the result that they only belatedly see pedestrians stepping off the kerb into the road. Due to the location of the two 'Bus Stops', pedestrians were repeatedly hidden by buses. 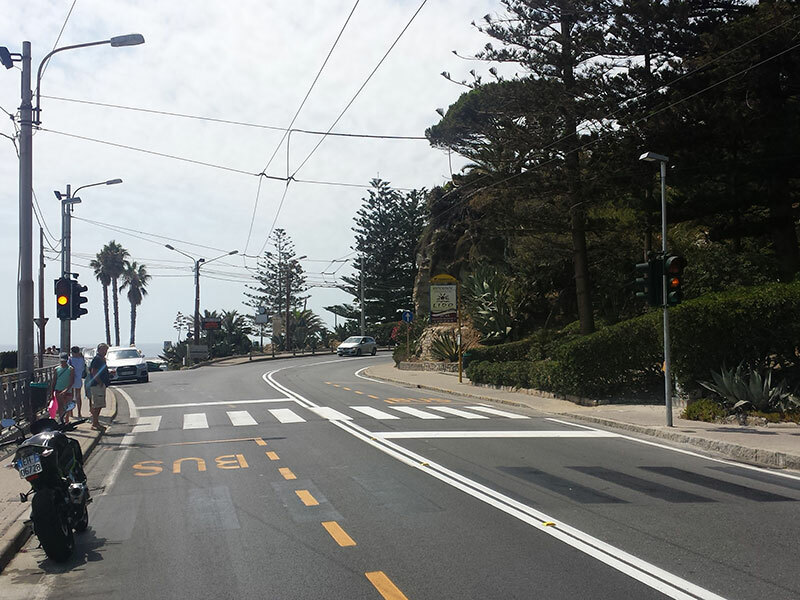 The 'Bus Stops' were relocated and traffic signals with advanced warning signage installed.